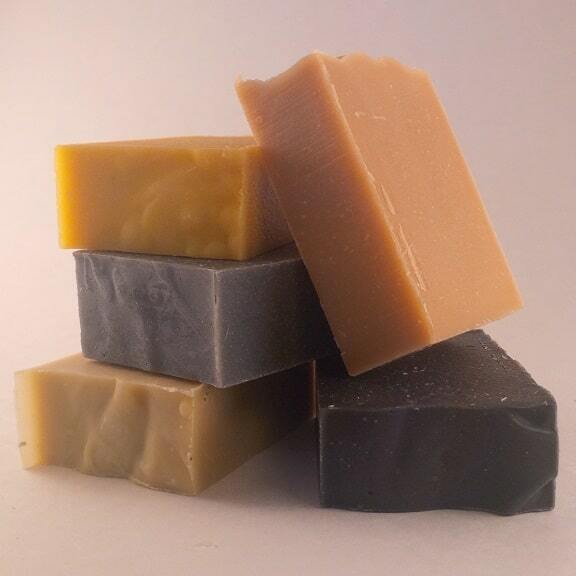 Our HANDMADE soaps are 100% NATURAL, VEGAN and palm oil free. Premium ingredients are used to optimize the nutritional benefit of our NATURAL soaps. 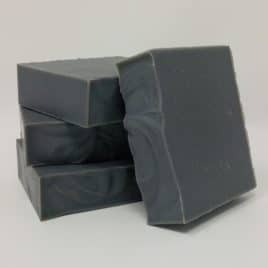 Our hand-cut bars weigh approximately 1.5 oz. 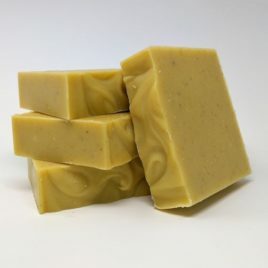 HAND JIVE: Are you looking for some TERRIFIC hand soap? Our HAND JIVE is perfect for you. 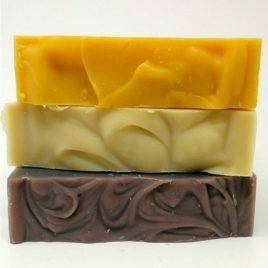 Each HAND JIVE contains THREE hand-size bars of your FAVORITE soap. These bars are “handy” in the shower as well! Each bar is approximately 1.5 oz. I love the size of these soaps – I get my favorites to use at the sink and they are the perfect size. Great price too! 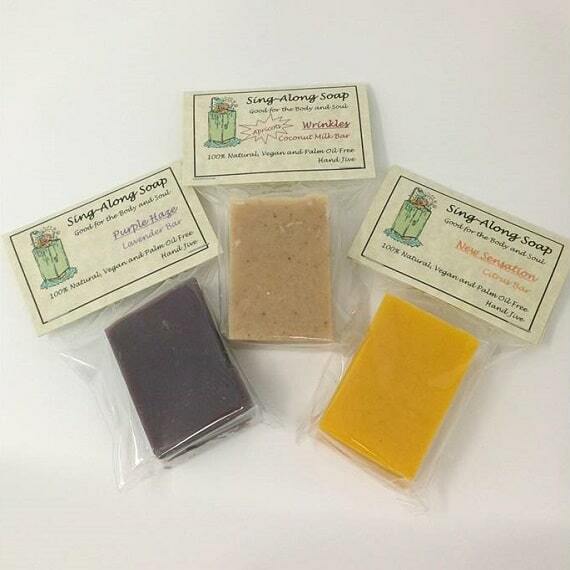 I use these smaller size soaps for when I travel. This is also a great way to try new scents before you buy the larger size. Great way to branch out beyond your usual favorites and get a nice surprise or two. Shipping is fastest I have seen anywhere. 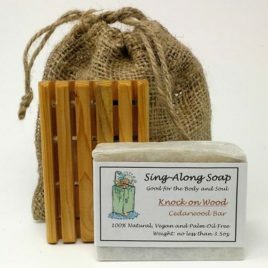 I have been using these soaps for several years now and they are the only ones I buy.